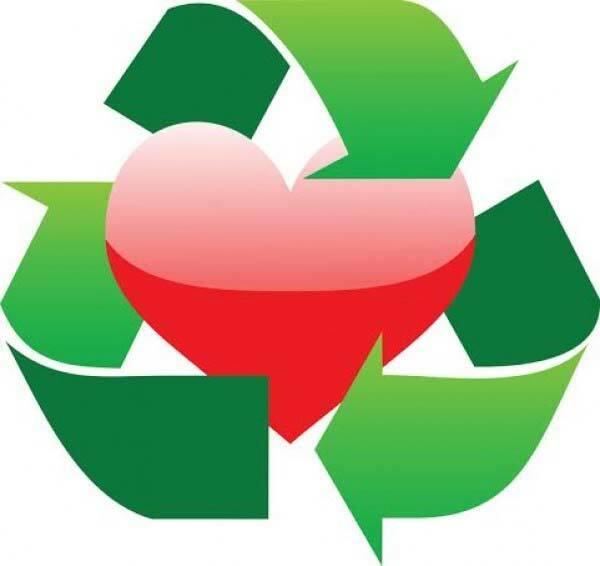 Dear Recycling: happy AMERICA RECYCLES Day to you, my beloved friend! You’re going through a really rough patch, dear, this year. Thanks for being RESILIENT in the face of global-to-local issues. It’s not just you. Upheaval is going around most of humankind these days. Sticking with you helps us remember how LIFE goes in CYCLES, and WASTE OFFERS all of us IMPROVEMENT OPPORTUNITIES. It bugs me that so many people talk about you “saving the planet.” Geez, who needs to play a savior role? That is such simplistic, magic-bullet thinking. We can’t expect any service provider, like you, to handle everything from everybody. We’ve got some unrealistic HABITS, but WE CAN CHANGE ‘em. It’s time for us to CLEAN UP OUR BINS, and RESPECT your LIMITS, not overload them. I know you’re not a drama queen, you just cannot deal with all our messes. Frankly, I want to see us PREVENT MESSES in the first place, especially when it comes to plastic. How many ways can we CHOOSE to use an item that is NOT PLASTIC, or at the very least NOW ALWAYS RINSE our CONTAINERS, and then recycle ‘em. And AVOID what we can’t repurpose or recycle, like USING anything made of STYROFOAM! With all your capacity to handle plastics, I know that stuff is dead in the water for you. Literally. Enough kvetching! This is a love letter! Babe, you have AWESOME EQUIPMENT! Your optical sorters, walking-floors, eddy currents, star screens, skid steers – I feel all oogly just thinking about it! You’ll love this: your equipment has won over my Mom! You know how Mom has refused to acknowledge your worth, all these years, just sticking to “trash” as her single-minded stream. Well, last month I gave my best recycling talk – you know the one, ‘WHERE IS AWAY?” with the automated sorting line video from one of your plants – for folks at her senior apartment complex. She went bananas seeing your systems. “Now I understand how this RECYCLING WORKS!” Mom exclaimed. And now (taa-daaah!) she recycles. You, pal, are the only early love I’m still connected to! Yes, I married a fellow human – that was best for all of us – but my dear hubby isn’t jealous, not one itty bit. He appreciates and supports our relationship, and he is totally down with your values! Well, except for insisting on getting a single-use cup and lid with his la-la-latte, every day. He did STOP DROPPING COFFEE CUPS INTO our SINGLE STREAM bin. We know those wax-coated cups are not recyclable – and the darn lids are such a low-grade plastic, even you can’t use it. We know we can improve. We know REUSING IS BETTER. We will KEEP IMPROVING! I could rave on, but I’ll just heartily say THANKS FOR engaging my species with BEING SUSTAINABLE. You introduce so many of us humans to ways of living that are – gasp! – working in accord with Nature’s intelligent systems. In all my work around this town, I call you, RECYCLING, OUR GATEWAY TO GREENER LIVING. Hang in there! Keep up the great work! I’m rootin’ for you, toots! Jean Ponzi’s KDHX Earthworms podcasts invite you into Conversations-In-Green every week. Pick ‘em up from STL Independent Media at podcasts.kdhx.org, or through iTunes. This entry was posted on Tuesday, October 30th, 2018 at 12:37 am and is filed under November 2018. You can follow any responses to this entry through the RSS 2.0 feed. Responses are currently closed, but you can trackback from your own site.